If your Instagram account, whether personal or business was RECENTLY disabled for any reason, there may still be a good chance that you’ll get it back. 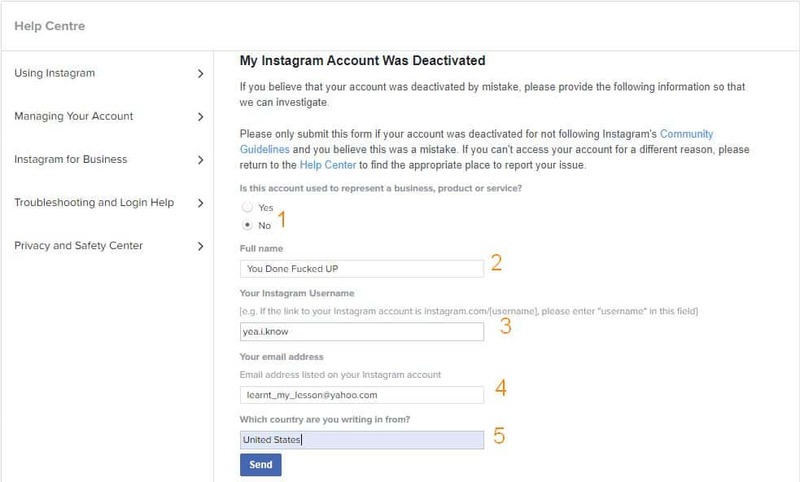 This short tutorial will take you through the steps to recover your Instagram account but before we get into to that, first, let’s take a look at a few of the main reasons why your Instagram account may have been disabled so that you can avoid making the same mistakes in future. Remember, it will be a lot tougher to recover your account a second time if you make the same mistakes again. 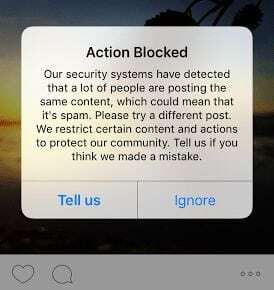 If you’re not posting inappropriate content (adult/offensive material) and believe your account meets the community guidelines as stipulated by Instagram, then Instagram might have decided to delete your account for spamming. This is an occurrence where you’ve just created a new account and you’ve immediately started aggressively liking, following, sending DMs, commenting or even unfollowing users soon after following them. I’ve always insisted both here and to my clients that if you’ve just created your account or your account has been dormant for a while, you should always warm up your accounts gradually before finally going hard. Here’s an article explaining how to warm up your account. Aged accounts may also get disabled for aggressive activities as well as for having been reported for posting copyrighted material without permission. When you start getting temporary blocks then it’s probably time you slowed down and observed the limits. Users who buy followers, likes, views, and comments are usually not spared for long either. It helps to have your profile completed (upload profile photo, write a short bio, post about 3 images/videos) before you start interacting with other users. 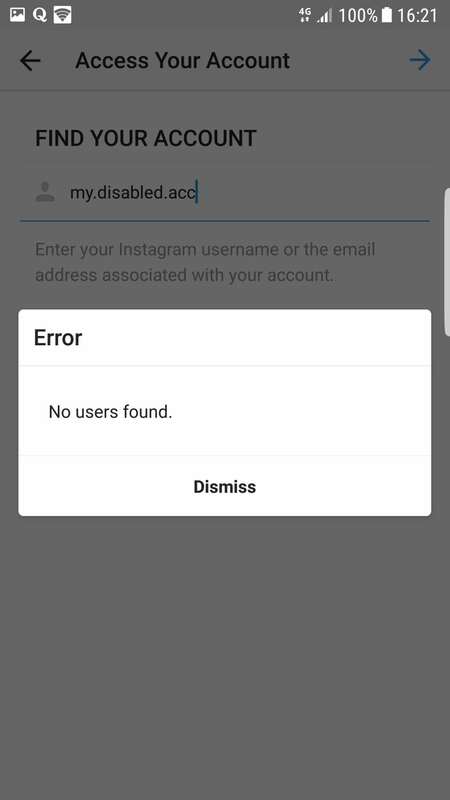 So, how do you recover your account when disabled by Instagram? Use the option Get help signing in. When done correctly, Instagram should email you the recovery code. You’ll need to follow the instructions in the email. Instagram will then send you a link to reset your password. From here, you can simply take a picture and send as instructed. 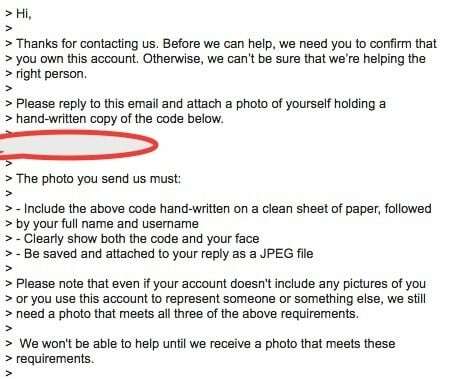 I’ve heard of people of people recovering their accounts even after sending a picture of themselves (or someone else) wearing a baseball cap and making a face or squinting just in case they have a database to match your face. Since October 4th, there’s been a wave of account deactivation on a scale that we haven’t experienced before. It looks like Instagram is doing another cleanup but on a grand scale this time around. Users have reported losing up to 5k followers in a day, a few others even more. Apart from the loss of thousands of followers, the unusual aspect of this wave of bans is that most of these accounts that were disabled were being run by genuine people, not fake Instagram accounts, but REAL accounts. I had one of my Instagram accounts disabled around the same time. This account had about 1500 followers but there’s one thing this account had in common with those deleted ones that I’ve read about on other forums: I was auto-posting content using an automation tool. This was never an issue before, especially if you’re using high-quality residential proxies for Instagram, so, obviously, Instagram must have found a way to detect when you auto-post content and clamped down on it. 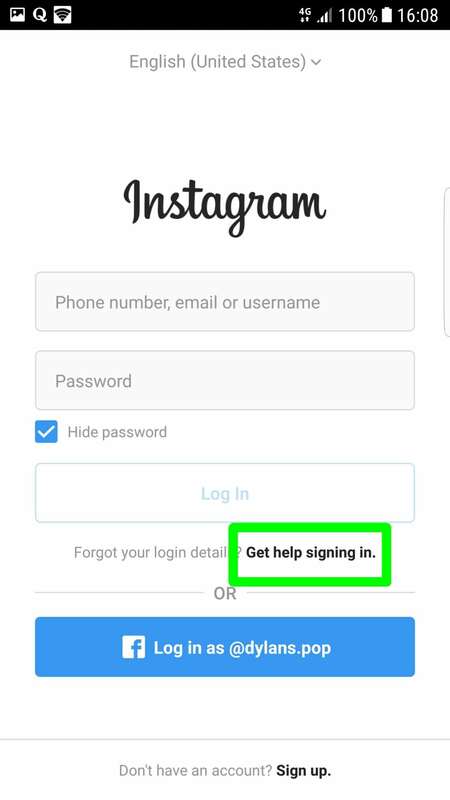 How do I recover my Instagram account? How do I get my disabled Instagram back? … hopefully, this tutorial will help you out. Props to HenryCooper for sharing this guide. You’ll need to do this on your desktop computer. 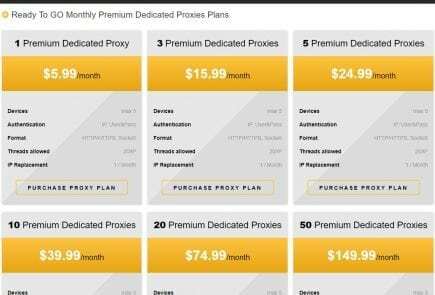 Make sure your PC is running on your home IP address (as opposed to proxies and VPNs). Go to https://help.instagram.com/contact/1652567838289083 OR https://www.facebook.com/help/instagram/contact/1652567838289083 and fill out the form. 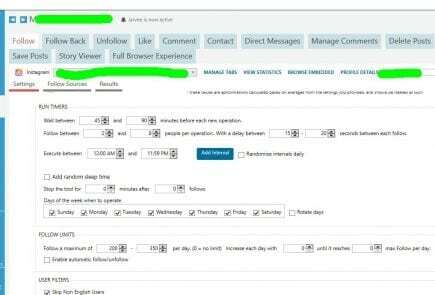 Once you’ve filled that form up, you should receive an email from Instagram in the next few minutes. Simply attach the selfie as described in the email and hit send. Now here comes the most important detail of this post. If your account is not reactivated, keep sending unban requests! Do it at least once a week until you get it back. Use a different email for every request because if a final decision is made on your email they won’t be responding to it. You’ll need to respond from the same email you received Ig’s email on. 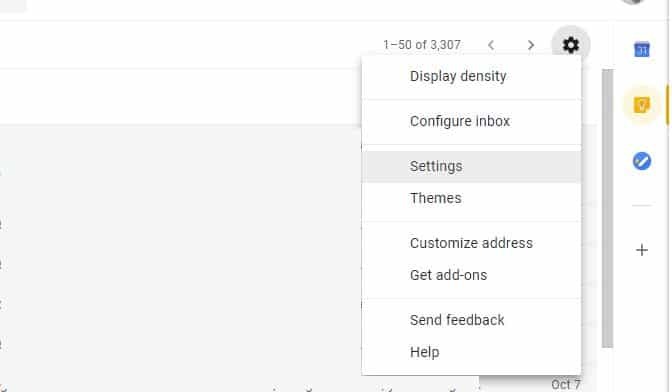 This will require you to change your Gmail settings for every unban request. 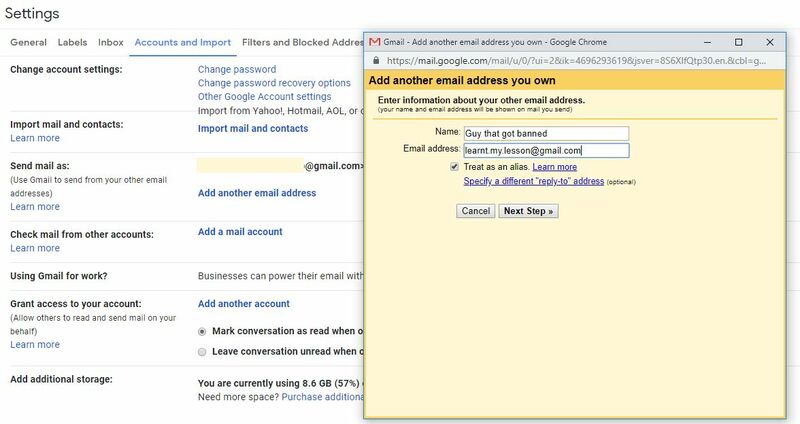 Click on the Accounts and Import tab and then Add another E-Mail address. Now fill in the alternative email for this new unban request. Make sure to do the same for every unban request that you’re sending. Tried the above methods but still having trouble recovering disabled Instagram account? Here’s another method that seems to work for those already having trouble recovering their Instagram accounts. It should work even for you that had your account disabled for the second time. You should receive a verification code in your email. Take a selfie or visit Fiverr and buy it from someone for cheap. Now you just have to wait for your account to be reactivated. We’ve shared several tutorials on here on how you can grow and monetize your Instagram account. You can see a few of these on the sidebar to your right if you’re reading this from your desktop or laptop computer or you can scroll further down to see them if you’re reading from your smartphone. Alternatively, you can go here to check out all the useful material that we have for you. 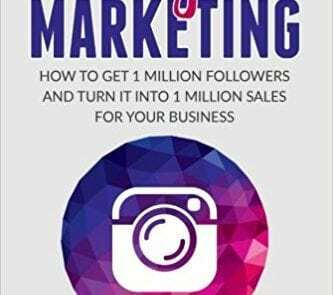 Online marketers will appreciate our tutorial on automating your Instagram growth and marketing. Let us know when you get your account back.